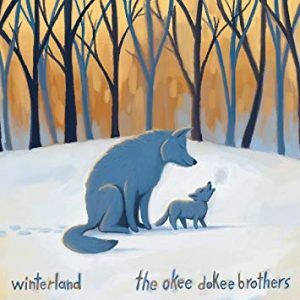 This fall The Okee Dokee Brothers returned with Winterland, the follow-up to their “Adventure Album Series.” This new album finds the GRAMMY Award-winning duo of Joe Mailander and Justin Lansing celebrating the cold and snowy winter season. 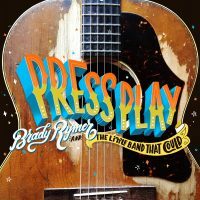 This collection of 16 songs is a beautiful combination of music that embraces the wonders of this unsung time of year as well as some important life lessons. The album opens with “Blankets of Snow,” a great reminder that the cold weather outside is what leads to the warmth and coziness inside. On the opposite end of the cozy spectrum is “Ice Fishin’ Shack” an ode to a past time that is not for the winter faint-of-heart. And don’t miss the tale of the poor, misunderstood “Abominable Yeti,” who it turns out is an upstanding citizen and overall nice creature. 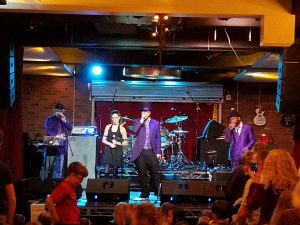 Musically, the entire album, produced by GRAMMY Award-winner Dean Jones, is a treat to listen to, with The Okee Dokee Brothers signature Americana folk style evident throughout. A few of the unique standouts include “Keep Me Warm” which is inspired by the community singing of traditional Irish songs in local pubs, “Slumberjack,” a song that is a nod to the shanties of Canada’s Maritime Provinces and is their first a cappella number, and the raucous “Howl,” a tune influenced by a dog sledding trip in the Boundary Waters. 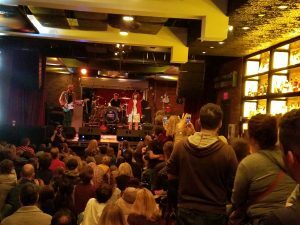 Along with the songs lauding winter and all that comes with it, are songs that provide important life lessons. The song “You, You, You” is the most pop sounding track on the album and encourages children to be true to themselves, “And you you you, you were you-ing like/ You do. I just love it when you you.” The circle of life is addressed in “Great Grandmother Tree,” which allows children to talk about death in a less frightening way. And finally, there is “Snowpeople” which asks whether or not we have to “wear” our genders. Winterland is filled with so much depth. It entertains while also teaches us to love nature and one another all year through. 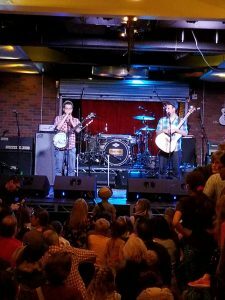 View the video for “Snowpeople” below and read this interview The Okee Dokee Brothers did with Fatherly about the origin of the song. 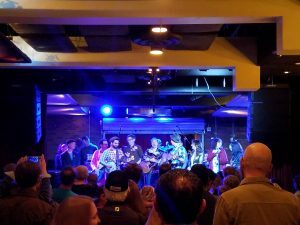 Nature and all of the wonders of the great outdoors have always been a keystone of the music that The Okee Dokee Brothers make, and today’s debut of the single “Countin’ On Me” was no different. 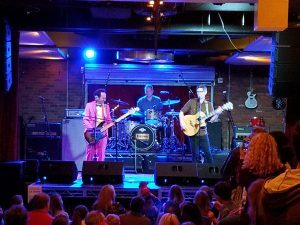 As part of their ongoing partnership with the Minnesota Zoo, the musical duo has written a gorgeous song about conservation. Evoking images of the grasses on the prairie, bison herds, flowers and critters in the forest, The Okee Dokee Brothers combine beautiful instrumentation and subtle animal sounds with lovely lyrics like the chorus, “They might seem small, but when you look at them all, their message is bigger than it’s ever been, we gotta build this home again” to create a song that you will want to listen to again and again. 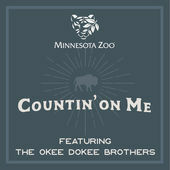 Available on iTunes, all the proceeds from the song’s sales will go to the Minnesota Zoo’s conservation efforts. A beautiful song for a beautiful cause. What a great month March is turning out to be for the release of picture books by the fantastic folks in children’s music. 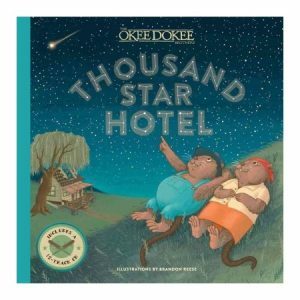 On March 7, we said hello to Thousand Star Hotel by the GRAMMY winning duo The Okee Dokee Brothers. This retelling of “The Fisherman and His Wife” illustrated by Brandon Reese features Mr. and Mrs. Muskrat who live near a big river. 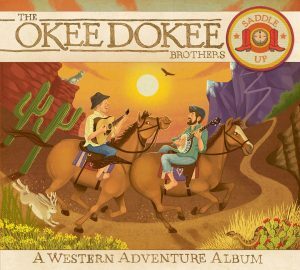 An accompanying CD includes the audiobook for the story as well as 11 songs performed by The Okee Dokee Brothers. Also making a splash on March 7 was Dive In! 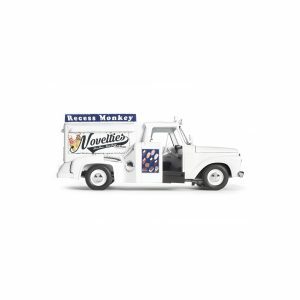 by 2017 GRAMMY nominee Recess Monkey. 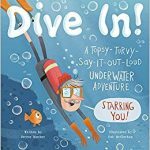 Illustrated by Rob McClurkan, this interactive undersea adventure will delight young ones as they participate in the escapades of Burt the Blobfish and Sir Sebastian Stockingbottomham. Mark your calendars! 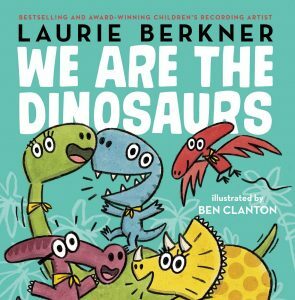 March 21 is the date for the release of the amazing Laurie Berkner’s new book, We Are the Dinosaurs. This combination of the lyrics from Laurie’s hit song “We Are the Dinosaurs” and adorable illustrations by Ben Clanton is sure to be a hit! 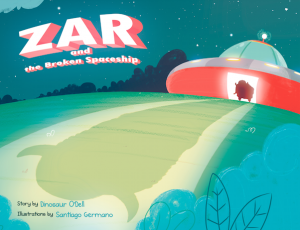 And in a #FBF Flashback Friday, I’d like to highlight Zar and the Broken Spaceship by children’s music extraordinaire, Dino O’Dell and illustrated by Santiago Germano. 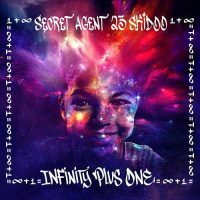 This is the story of three friends who meet the alien Zar, learn a lot about team work as they help him fix his spaceship and make a new friend along the way. One of the librarians who works with me has been using this book in her preschool visits this winter. The fun, interactive aspects of the story have made it such a hit with the preschoolers that it quickly became the finale of each storytime. Do you have a favorite picture book by children’s musical artists that you like to use for storytime or in the classroom? 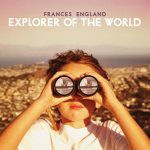 The 59th GRAMMY Award nominees were announced today and, as always, they are fantastic. The Best Children’s Album category is filled with amazing artists, each with a unique sound. If you don’t own them, pick them up today. They all deserve a spot in every library collection.